Our Prime Chips® are one of our newest products and we are extremely proud of them! We make these 100% natural Treats here in the U.S.A. with all the love and care your dog deserves. Prime Chips® have no fillers, colorings, preservatives, chemicals or artificial flavorings. 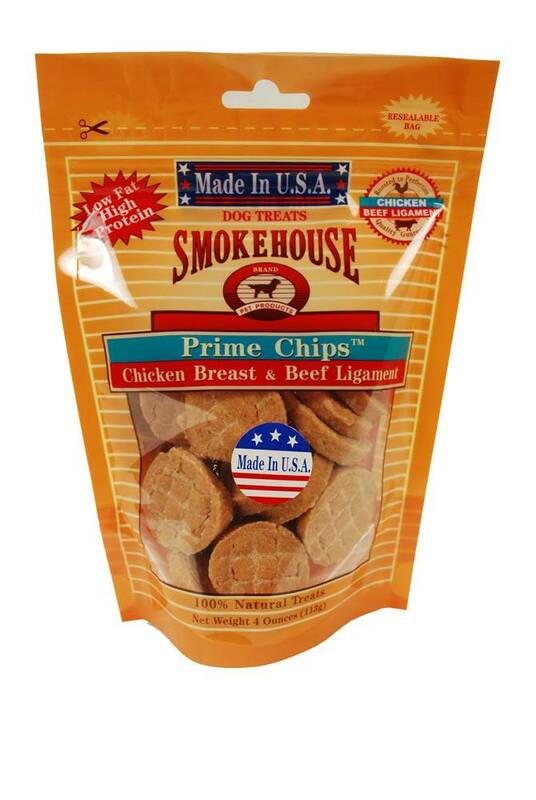 Prime Chips® are the perfect size for any dog and we offer them in three flavors: Chicken, Chicken and Turkey Tendon, Chicken and Beef Ligament. This is truly a great treat... don't let your dog miss out on it!